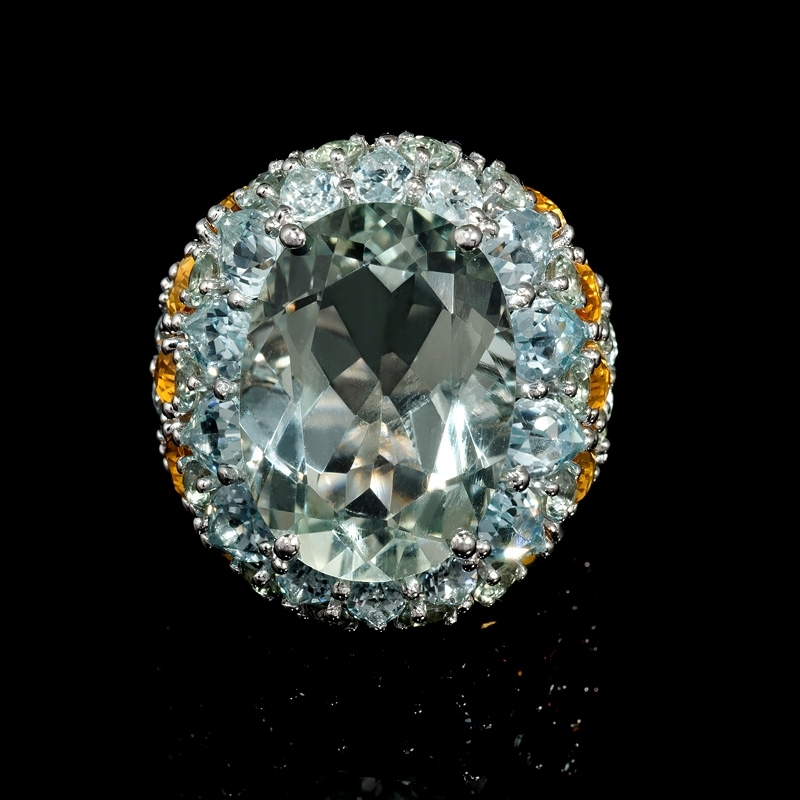 Gemstone Details:24 green sapphire stones, weighing 2.00 carats total, 1 green amethyst stone, weighing 11.10 carats total, 26 aquamarine stones, weighing 6.10 carats total, and 10 citrine stones, weighing 2.70 carats total. Measurements: Size 7(sizable) and 24mm at the widest point. Some sizes may be special ordered and take approx 4-6 weeks to deliver. 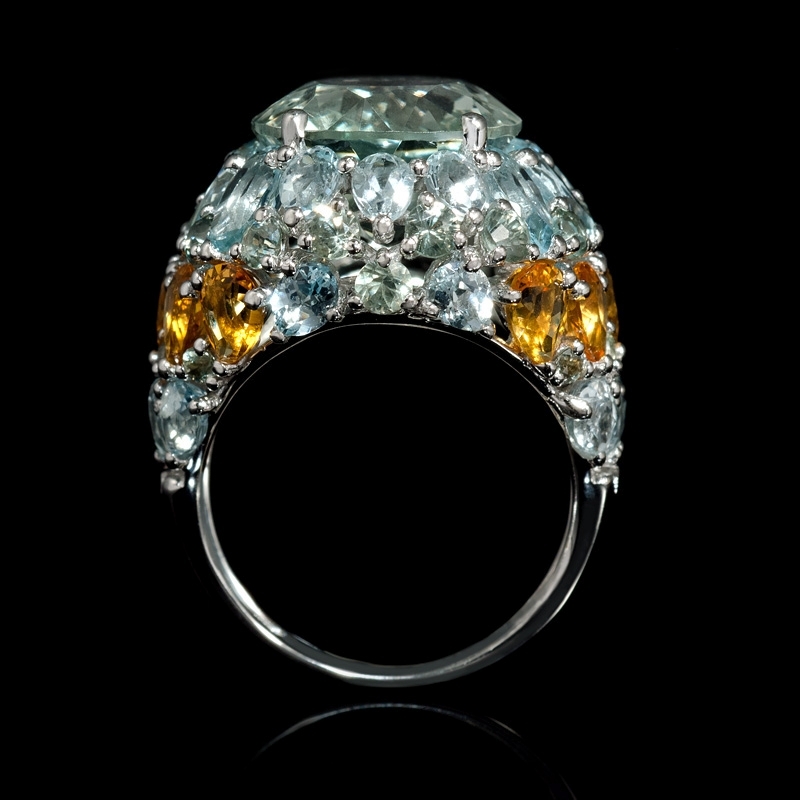 This outstanding 18k white gold ring features 24 green sapphire stones, of exquisite color, weighing 2.00 carats total, 1 green amethyst stone, of exquisite color, weighing 11.10 carats total, 26 aquamarine stones, of exquisite color, weighing 6.10 carats total, and 10 citrine stones, of exquisite color, weighing 2.70 carats total. 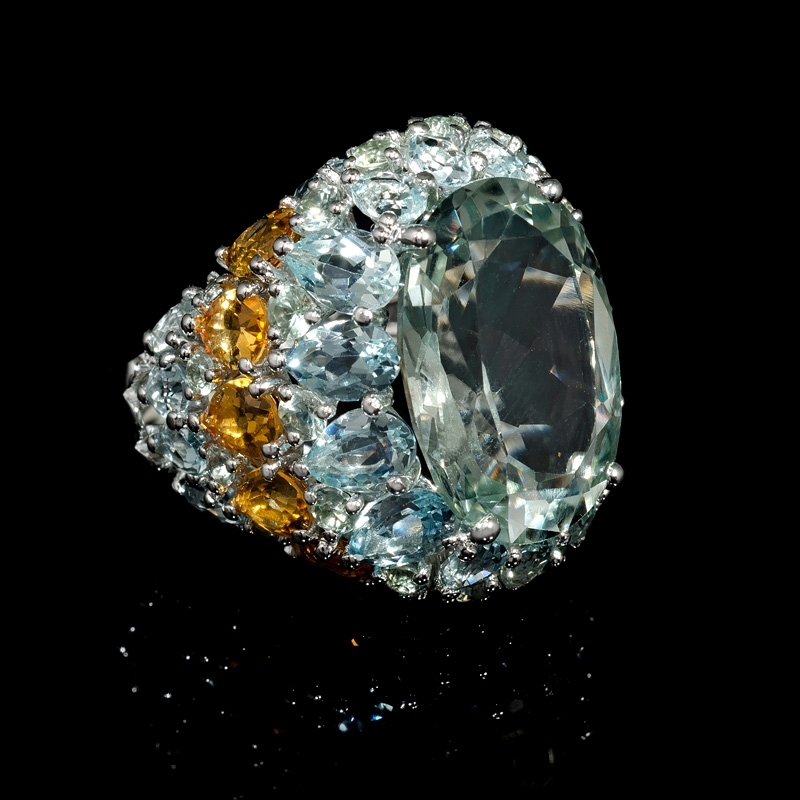 The ring is a size 7 and 24mm at the widest point.